10% damage bonus to both Gravelord sword miracles. 30 20% damage bonus to both Gravelord sword miracles. Gravelord Servant is a Covenant in Dark Souls. This Covenant offers its members a unique combination of PvP options, and the ability to "curse" the worlds of other players by using an Eye of Death, resulting in additional extremely powerful enemies called Black Phantoms appearing in those worlds. 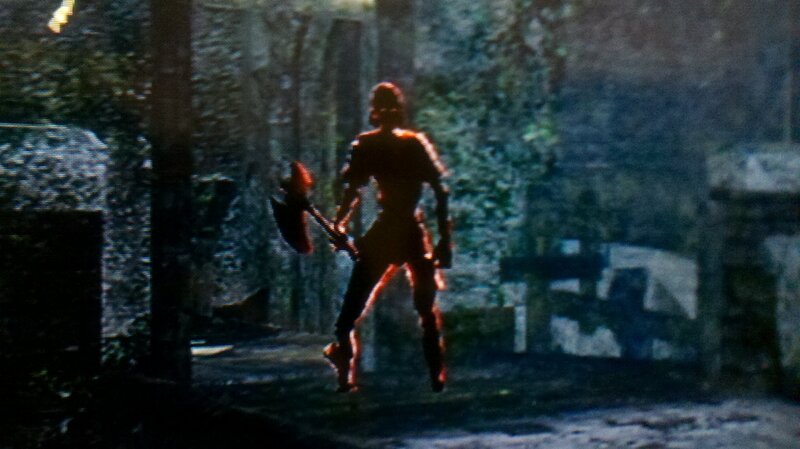 Black Phantoms can be easily recognized because they look like a common monster of the area but with a red aura completely covering them; this red aura is EXACTLY the same red aura that covers invaders. When the player uses a Eye of Death, all players who are in New Game+ or higher and are within 10% +/- 10 levels of the Gravelord Servant will receive the aforementioned curse (this will only take effect if a gravelord sign appears in their world). The Gravelord Sign is dropped at the location of the Gravelord Servant and will appear in other players worlds (the Gravelord Servant cannot see it). The sign follows the Gravelord Servant as he moves, thus changing location periodically refreshing itself every 10 seconds approximately. Additionally, the Gravelord Servant obtains a black aura, indicating that the Eye of Death is in effect. The cursed players must track down the Gravelord Sign in their world, which they can activate to then invade the world of the Gravelord Servant who cursed them and try to defeat them to lift the curse. Up to three players can invade the Gravelord Servant at the same time in this manner. If they or another invading player kill the Gravelord Servant, or if the Gravelord Servant dies by any other means, the curse on all worlds is lifted. Because the Gravelord Sign appears at the Gravelord Servant's location in their own world, Gravelord Servants looking to be invaded by their victims can stand in a high traffic location so that their sign is easy to find. Alternately, a Gravelord Servant wishing to spread as much misery as possible can hide in obscure locations in their own world, making it more difficult for their victims to find their sign and invade them, and also forcing those victims to spend more time dealing with the powerful red phantom enemies now inhabiting their cursed worlds. If the Gravelord Servant defeats invading players, they will also receive additional Eyes of Death, allowing them to continue the cycle or rank up in the Covenant by offering those Eyes of Death to Nito. Although on release players initially found this Covenant difficult to utilize, following Patch 1.05 many of its mechanics have been improved and it is now considered both fully viable and extremely fun -- except to its victims. You can only join and level up this covenant before defeating Gravelord Nito. The trigger for unlocking the Gravelord Servant covenant is in the crypt where you find the Titanite Demon in the Catacombs (note: you don't need to kill the demon). In the tunnel it occupies, one coffin sticks further out than the rest, and is unoccupied. Standing in front of will trigger a command prompt for you to "nestle into" it. Once you do, wait for approximately 30 seconds and a first-person cut-scene will commence. You need a Eye of Death in your inventory in order for this to occur. When you enter the large, spacious room, head away from the coffin to the larger coffin at the other side. Create your covenant with the Gravelord Nito here. This cannot be used as a shortcut to the Gravelord Nito boss fight; Nito will simply lie in his coffin and refuse to attack even if you have fought him before and failed, and you cannot harm him in any way. This is however, a safe way of scouting out the area before engaging Nito in battle, and as a way to safely retrieve lost souls and humanity if you die attempting to defeat Nito, as the instance is the same. (Eye of Death only works for covenant members and when in Human form) Upon using the Eye of Death by a member of the Covenant in an area of the game in which they have not defeated the Boss in their world, curses will begin to spread out into the worlds of other players. The Gravelord will leave a soul sign on the ground of those other worlds; that sign moves with the Gravelord and updates its location about every 10 seconds. All players connected to the Gravelord and within the proper Soul Level range can see the soul sign. On the other side, the cursed players will have the opportunity, upon finding the soul sign, to invade the Gravelord's world and seek revenge. It has been reported that there is no visible effect or any form of confirmation when a cursed player dies to a black phantom enemy, so there is little incentive to hide the sign or even join the covenant except to draw players to you for pvp, unless you simply wish to "spread misery" into other player's worlds for as long as possible. For example, gravelording in already challenging areas such as the Tomb of Giants can render those areas almost unbeatable except for the most skilled players, due to the additional powerful gravelord enemies that appear. Gravelords are rewarded with souls and Eye of Death for killing avenging players that are seeking the Gravelord who cast the soul sign. The Eye of Death will only work in areas where you have not defeated the boss, since you will be the one getting invaded. You can't fight any bosses while the Eye of Death is active. You can't summon phantoms of any kind (hostile or friendly, you don't see any signs) while the Eye of Death is active. You can place your sign while the Eye of Death is active, but if you're summoned once you come back to your world you will lose the Eye of Death effect. Additionally, you can walk between areas freely, but you will only curse worlds while you're in an area where you haven't defeated the boss. The effect of the Eye of Death lasts until you die or quit and reload the game. Using a homeward bone will also reset the effects. Unlike most other forms of pvp, a player can be cursed and see a Gravelord Sign even if they are Hollow. You can curse the world of people who have already beat the boss of the area too. The maximum player limit is 4, meaning that it's possible for the Gravelord Servant to be invaded by up to 3 people he is cursing all at the same time. Because Darkwraiths and Darkmoons can invade the Gravelord Servant even while the Eye of Death is active, it's possible that you don't get always invaded by the players you're infecting. The maximum player limit is 4, thus if a Darkmoon or DarkWraith invades you, only 2 of the people you're cursing will be able to invade you; as an example of how this rule applies to Gravelord Servants. Players that invade the Gravelord Servant via his Gravelord Sign, will appear as blue invaders (resembling Darkmoons) as Spirits of Vengeance. Because of this is easy to confuse a Darkmoon invader with a player invading via the Gravelord Sign. In fact, the only way to tell them apart is by defeating them; Darkmoon invaders will not drop an Eye of Death. Here is a non-conprehensive list of where BPs spawn in worlds that have been cursed by a Gravelord Servant. All of these phantoms will have significantly increased health, defense, and attack rating compared to their normal counterparts, and will appear as menacing dark phantoms. They also appear in addition to normal foes, rather than merely replacing standard foes with more powerful versions. Due to their overall increased power as well as the fact that even experienced players will often be surprised by the appearance of these extra enemies in unexpected places, a cursed world can be a new and challenging experience indeed. As above, the Gravelord Servant must NOT defeat the area boss in their own world for these to spawn in other players' worlds. It is believed that all areas of the game may be cursed with the exception of the Undead Asylum, Valley of the Drakes, Great Hollow, and Ash Lake (as those areas cannot host multiplayer PvP in any event). Undead Burg: Axe and sword wielding undead Hollows near the bonfire. Undead Parish: 2x Estoc wielding Undead Knights. There will be one on the opposite side of the door when entering the church. There is also a Tower Knight(Greatsword) to the left of the regular Tower Knight. Additional Hollows also appear in various spots, including one atop the tower where the greatsword wielding Black Knight is located. Lower Undead Burg: One Hollow thief/assassin near first set of buildings containing Thieves, and another farther down the street hiding in a corner. Depths: Numerous additional Giant Rat enemies throughout the level, additional Butcher in Butcher area, additional torch-wielding Hollows. Blighttown: 2x Club wielding barbarians/giants in lower swamp area just below entrance to Queelag's Domain, 3x club wielding barbarians/giants in the lower swamp area near the leeches, additional infested Hollows in catwalks areas. Sen's Fortress: 2x Serpent Soldiers prior to the first swinging axe bridge. Additional lightning-throwing Cobra enemies on various walkways and platforms. Darkroot Garden: Multiple Great Stone Knights at the beginning of the area. Darkroot Forest: Additional mushroom people in the area beyond Alvina's house and the bridge. New Londo Ruins: 3x Wraiths around Watery Area. Additional Darkwraith enemies throughout the area once the water is lowered. Anor Londo: 3x Giant Sentinels. One in the buildings on either side of the first courtyard and another at the top of the stairs leading to cathedral's main entrance. There are also numerous additional Silver Knights scattered throughout the area adjacent to the main cathedral (such as two new Silver Knights guarding the usually lone Silver Knight archer on the balcony). Painted World of Aramis: 3x bonewheel skeletons (which also appear to be physically larger) in the underground area, as well as one near the bottom of the well ladder, and numerous additional engorged Hollows in the main area. Duke's Archive/Crystal Caves: Additional tentacled Pisaca near room full of Pisaca's, three additional Channelers at various locations inside the Archives (including one on the ledge across from the ladder down to the rotating bookcase shortcut), 3x additional Crystal Golems in forest outside Crystal Caves (2 near the Crystalline Armor set, another around the corner from the ladder). Catacombs: Additional skeletal warriors; 2x bonewheel skeletons on valley floor (however, there are no additional necromancers). Tomb of the Giants: 3x Skeleton Dogs right outside of the second Bonfire area (very nasty and pursue you immediately on sight unlike regular dogs); additional Skeletal Giants throughout the level, including 2 near the Large Divine Ember. Demon Ruins: Additional Capra Demons near entrance bridge, and on stairs leading towards boss fog gate. Lost Izalith: 3x Chaos Eaters in the large poisonous pit containing other Chaos Eaters. Kiln of the First flame: A very tough Black Knight at start of the area, infamous for killing players with a single attack regardless of level or equipment. Nito initially rewards the player with the Gravelord Sword and Gravelord Sword Dance an AOE miracle that summons swords to attack in the vicinity and has no Faith requirement. The Gravelord Sword is a curved greatsword with a 300 Poison rating. Three can be purchased from NPC merchant Patches once he relocates to Firelink Shrine (but keep in mind that for him to relocate to Firelink Shrine you need to kill Nito, thus preventing you from "deepening" the pact). In addition, Eye of Death can be farmed from the Basilisks found in the Depths and Great Hollow as a rare drop. Covenant allegiance can be checked easily at any time via the status menu, as it will display "Covenant: Gravelord Servant + <rank>" (e.g. "Gravelord Servant +1" for rank 1). 1 10 Miracle: Gravelord Greatsword Dance - (note: "40" charges translates into 2 uses of an AOE 20-sword burst.) Bigger AoE and higher damage than previous Dance. 2 30 20% damage bonus to both Gravelord sword miracles. Killing Nito does not constitute as a betrayal as it is required to proceed through the main story but DOES prevent you from further leveling within the covenant until NG+. Although the damage of the two Covenant miracles does scale with Faith, the Gravelord Sword and Greatsword Dance miracles have no minimum Faith stat requirement for use, and so can be employed by nearly any build (similar to Pyromancies). For example, a Sorceror character with low Faith may still have a very powerful Greatsword Dance miracle cast if they utilize Velka's Talisman (which has a magic adjust stat based on Intelligence, not Faith). This enables Covenant Members to remain themely while utilizing nearly any build they desire. Similarly, many players join the Covenant at least temporarily to obtain the miracles, which may be used even once they leave the Covenant. When you use a homeward bone/spell or warp from bonfire to bonfire the Eye of death effect will cease and you need to reactivate it in the new area. As of Patch 1.05 the gravelord covenant works very effectively. Many people now see GL signs and/or Black Phantoms in their world, and are able to successfully invade to face the Gravelord Servant responsible and lift their curse. There are also successful player-made covenants focused around the covenant and their efforts have shown that the covenant now works extremely well. 1.05 seems to have greatly increased drop rate for Eyes of Death from the basilisks in the Depths. 1.05 also seems to have thoroughly overhauled the entire Covenant, and all of its functions and effects are much more noticeable and consistent. I&apos;ve seen a lot of comments saying that the NG+ effects aren&apos;t true saying that they are still getting gravelorded while on their first play-through. When the article refers to the NG+ effects, it&apos;s telling you about how IF you ARE in NG+, you will see the npc enemies resembling red phantoms, however, if you are still on your first play-through, you can still be gravelorded. It simply won&apos;t have an effect on your world unless you migrate from NG to NG+. Let&apos;s call it the "misery" effect. In NG, there is no misery effect, but there is the possibility of being gravelorded. In NG+, both the possibility of being gravelorded and the misery effect are present. any NG post NG+, such as NG+7 (meta, I know), will persist to have the same effects as NG+. NG is the only play-through that won&apos;t under any circumstances have the misery effect. Does killing a boss area effect red phantoms while in use of the eye? Does the ring of the sun&apos;s firstborn affect the damage of the sword dances? Why did someone feel the need to capitalize EXACTLY in this article? It seems really UNNECESSARY. will you still deal your 30% damage bonus when you leveld the covennant up at max, leave it and then use the miricals? Does the Dried Fingers benifit or worsen The Eye of Death? Oh man here we go with the retarded DS3 players. Listen up blues. Reds ARE YOUR FRIENDS. This isn&apos;t Dark Souls 3 where it&apos;s the opposite. You gain literally nothing from killing reds unless you have some moral compass going on. Holy hell. Stop PvPing if you don&apos;t know what is going on. Do people boost for this? Dunno if it&apos;s of any relevance to anyone but you can experience first hand the misery you&apos;re spreading as a gravelord servant (one recurrent issue for most was: what&apos;s the point in doing it if you can&apos;t witness the struggle and the increased difficulty your victim has to deal with). The New Game+ is false. I just invaded a friend o fmine, and we&apos;re both fresh new characters. I&apos;m 42, and he&apos;s 32. I invaded him at Undead Parish.